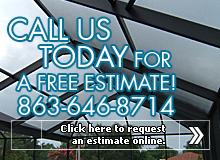 About Flowers Aluminum | Pool Enclosures, Screening, Glass Rooms, Siding & More! Flowers Aluminum Construction has over 22 years experience as an iinstaller in residential and commercial construction using aluminum and allied products. Our staff provides honesty, integrity and loyalty to our customers’ beyond contracts and signatures. We provide quality construction from our family to yours. With the same attention to detail and craftsmanship we’re known for, our experience also includes continuous concrete footing, monolithic slabs, block knee walls, stucco, flo-crete and pavers. Call us today for more information about our qualifications and experience!